11 GALLUP AVENUE, MOUNT JEWETT, PA - ONE OF A KIND! HISTORICAL GEM! 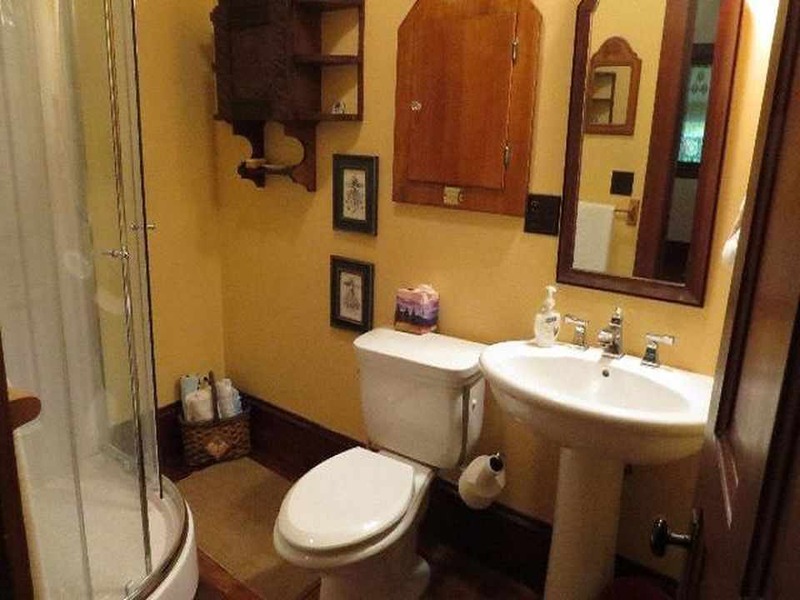 The unique character and style of this property speaks for itself. 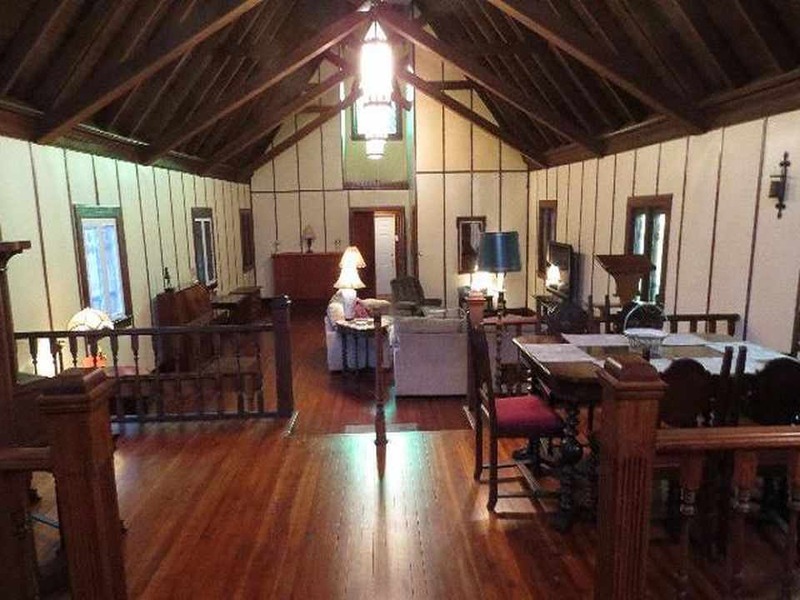 Renovated from a church to a magnificent home or office. 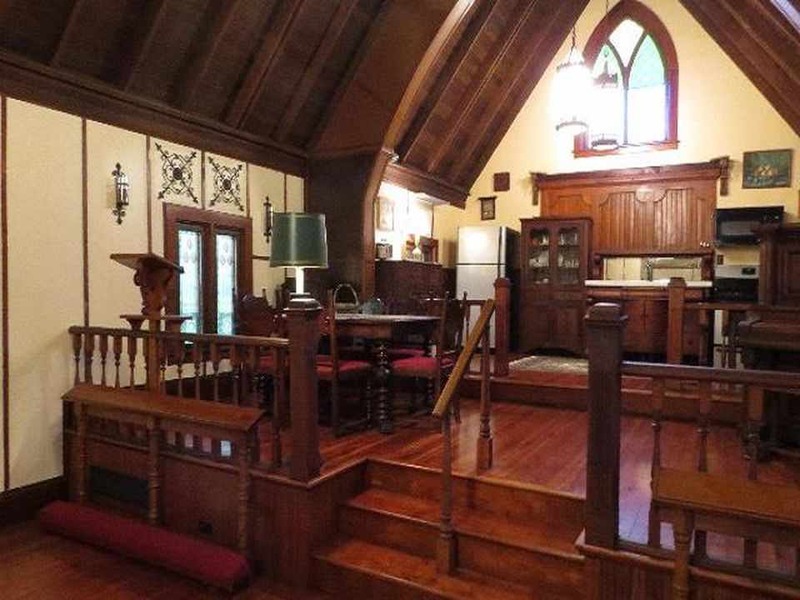 Enter the double doors to an open room off original, beautiful wooden cathedral ceiling, chandeliers and hardwood flooring. 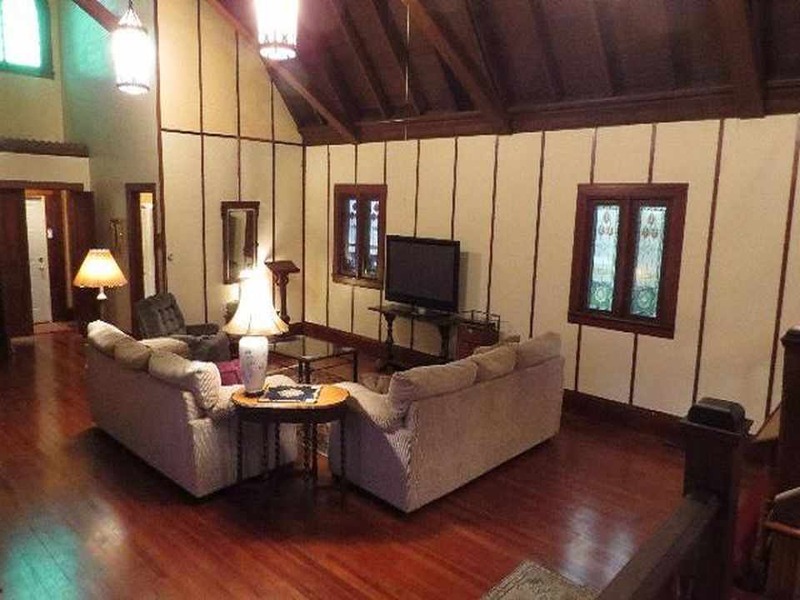 Step up to the open dining/sitting area and the quaint kitchen. Stainless steel gas stove, refrigerator and microwave. 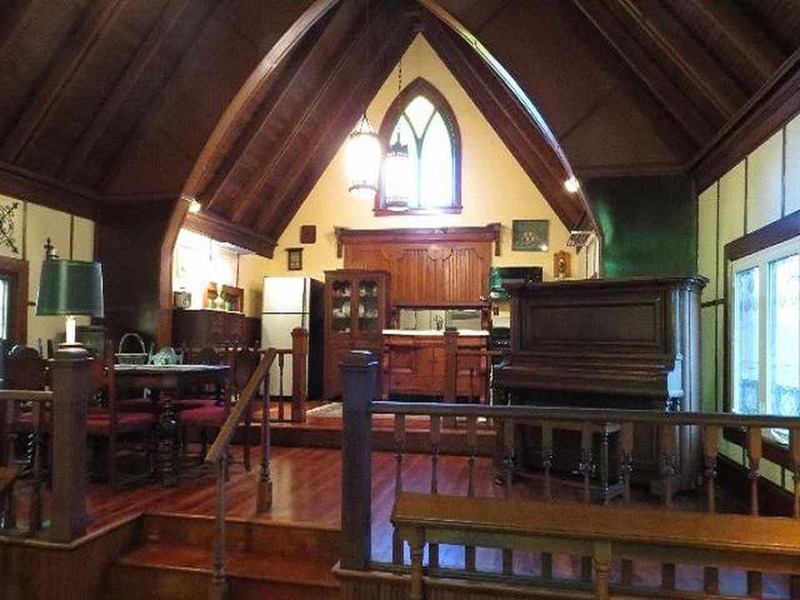 Natural sunlight adorns this room with stained glass window above the antique kitchen cabinet sink and a stained glass window above the entry. A couple stained glass are still remain for character. There is a 3/4 bath with a corner shower and a bedroom/office on the first floor with the with the cord to the working church bell. 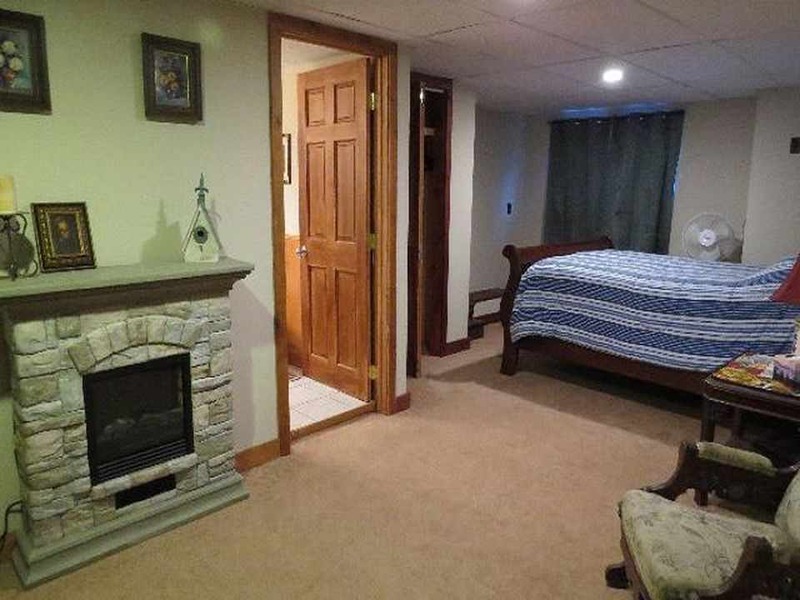 The finished basement offers an open room for recreation area or bedroom. 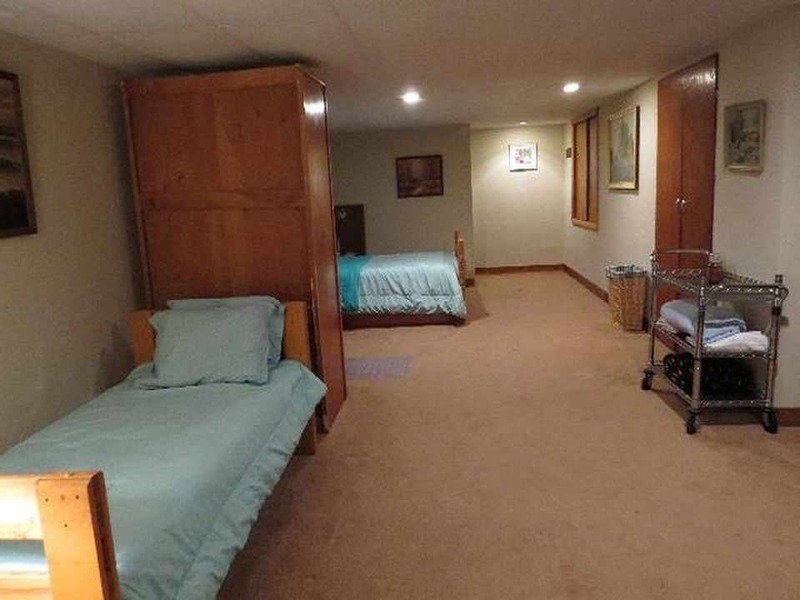 A full bath and a bedroom off the rec room. Stackable washer and dryer. Walk out entry. Large parking lot or driveway. Furnishings can be included in the sale or Seller will remove. This would make a great home or as a seasonal home. 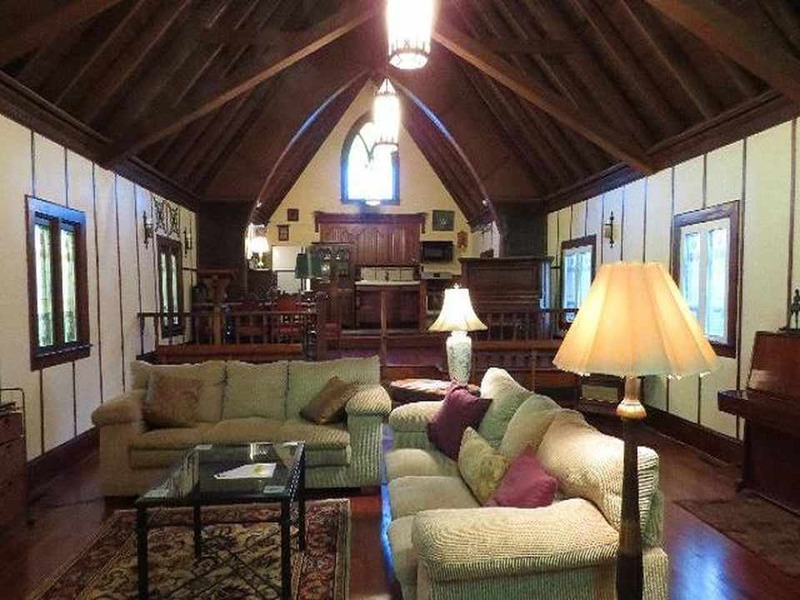 Repurposing a church into a home is tough because of the relatively huge sanctuary and little else to work with. These folks did a fine job making this dynamic work. It helps that the sanctuary isn’t mammoth. They wisely used the platform near the alter end of the church as a way to distinguish between the living and dining spaces. I’m personally not a big fan of open kitchens but don’t think there was a better option here. look. That is, after all, the historicalvalue and original intent for the structure. Again, glad it’s preserved. 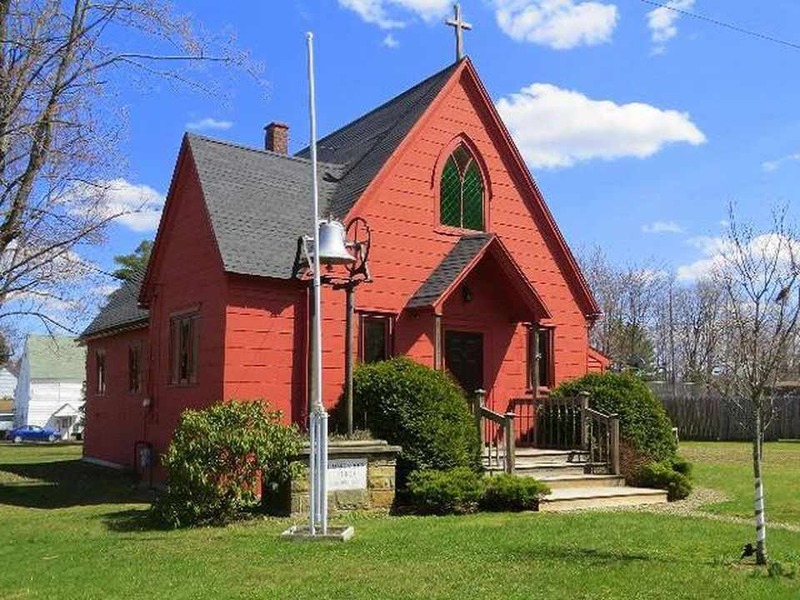 I am looking for large old church for ~20 person retreats etc. Did you see the one in Glendive, MT? 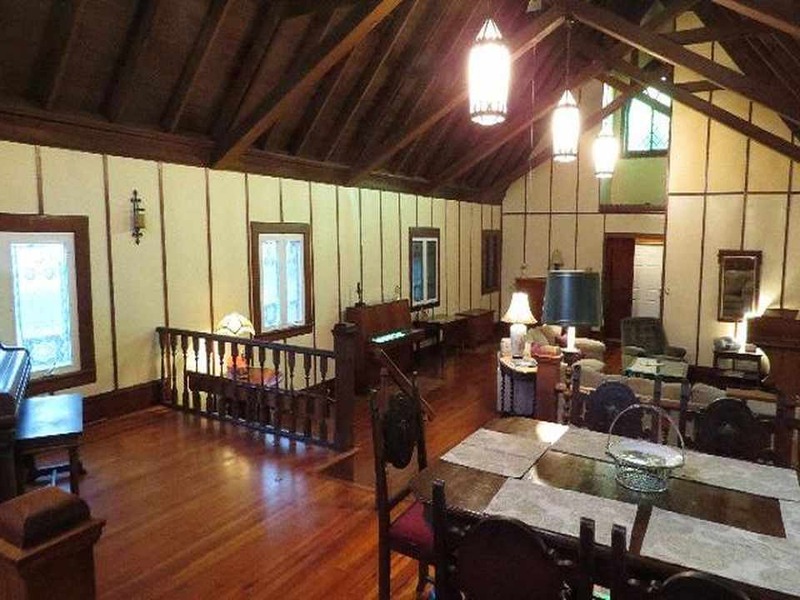 All that beautiful woodwork makes the place look rich and cozy. 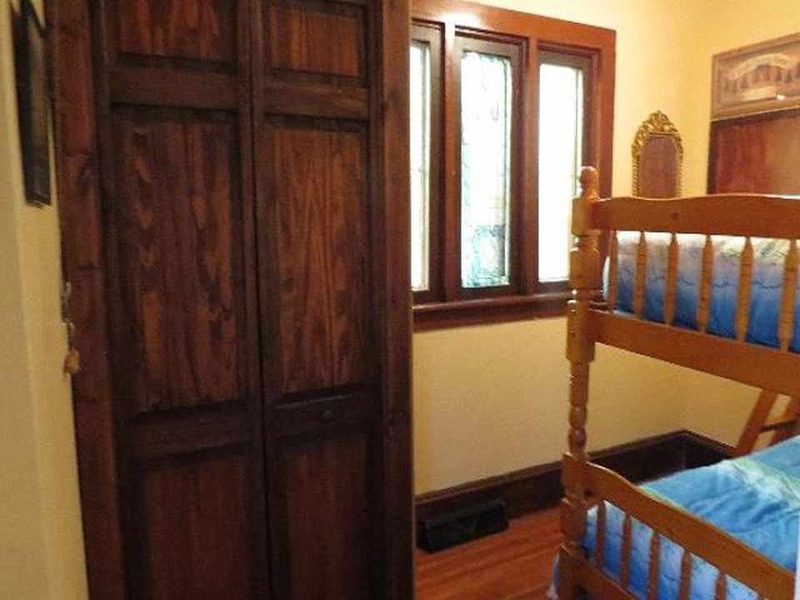 I could see two people living there, but not a family, as it appears from one of the bedrooms with the twin beds. Members of a family need places for private time. They’ve done a beautiful job of repurposing the church, however. Great conversion, I might consider living in this one if I were single, I really wasn’t fond of church conversions, but just now I thought, if they hadn’t turned this into a home, would it be abandoned and stand rotting, so I change my view on that, much better this than that. I’m impressed with this one. Very tastefully done! LOVE IT!!!!! I’ve never been a fan of church conversions because they feel a bit sacrilegious but I understand the need if the option is a tear down. I admit to being impressed with this one. 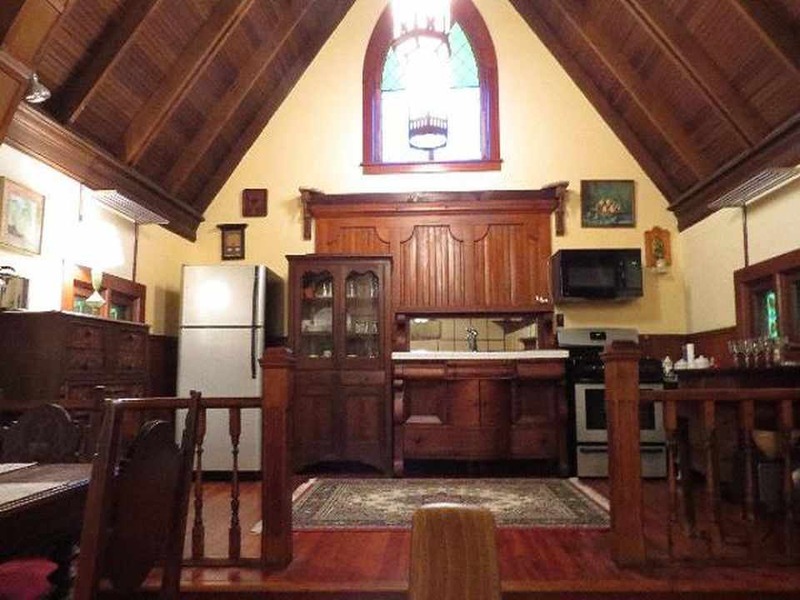 They have respected the church elements and kept them intact while making a serene living space. Nicely done! 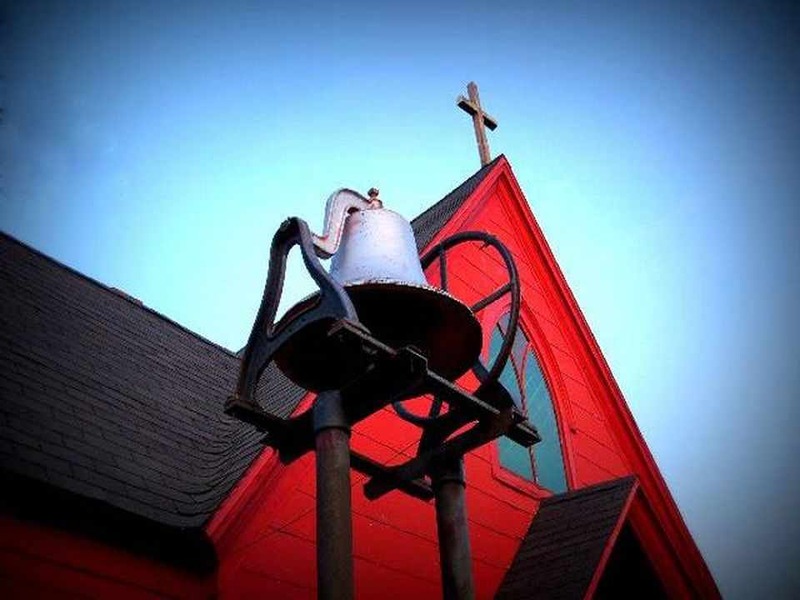 JJ — there is a historic church in Denver that was “repurposed.” It was turned in a nightclub and named “The Church.” I did find that far too irreverent in every way. But such is life, or at least Denver. I agree with you on that one, Darla. I would have a difficult time with a church turned nightclub, but like you said, “such is life”, and who are we to judge? I’ll look that club up online, I’m curious to see what it looks like now. Thanks for responding! But a church is just a building. It is the people and their connection to a supreme being that are the soul of a church. Beautiful! Currently looking for a larger church. I personally think repurposing a church is ideal. Stunning! Great job on conversion. Whoever buys this house I hope they don’t remove the cross. The article’s one picture actually makes the interior look much more inviting in my opinion. 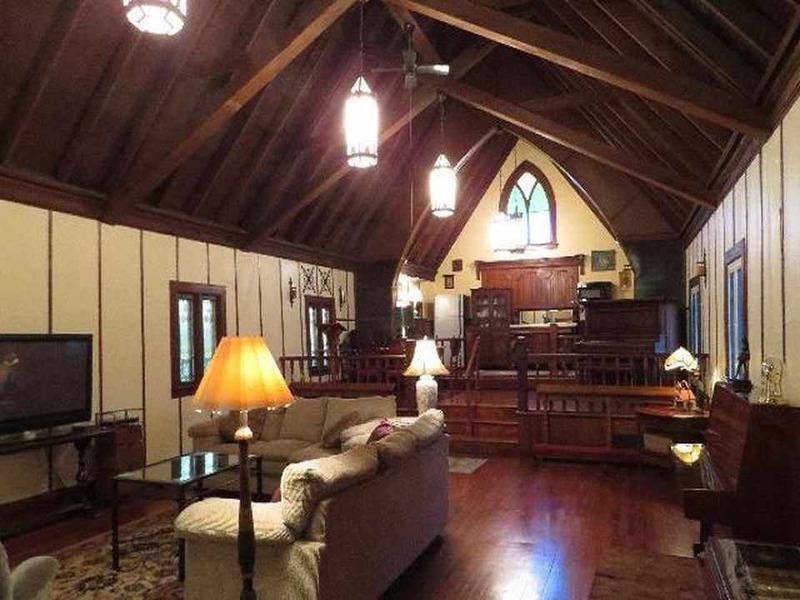 With all the pictures on the walls and the multiple soft lighting the room looks more gothic hunting lodge than sanctuary. What’s that joke about making burnt offerings? Posted 2017, moved to the front page for another look. Comments above may be older. I love it! Would live in it in a second!!! Fabulous remodel! I wouldn’t have gone with such a dark interior. 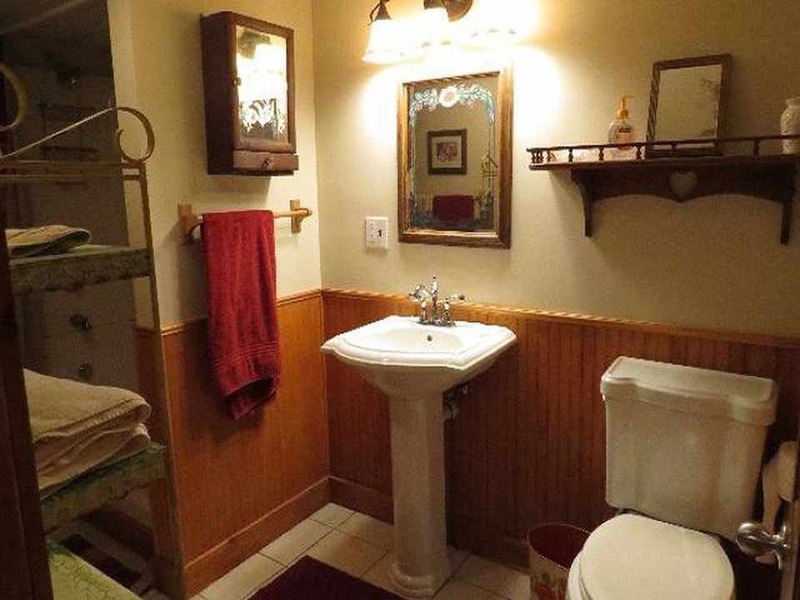 Really closes up the room, even with all the natural light around it. I grew up in this town and this building is pretty small. I would have opted for some sky lights and lighter colors to open it up some more. The house is right next to the baseball park and sure to have a lot of excitement throughout the year. Love it. What a great space to live in. So nicely repurposed. I think living in an old church would be good for the soul! Beautiful, I just wish it was in Texas!